long time ago i had idea for book or series of concept art for technology for future exploring solar vehicles. this is a very first concept modeling, done in modo. i will add technical descriptions and blueprints later on. the main body is rotating on high velocity to create gravity for crew. the ship connected to two ionen engine powered by a thorium reactor. 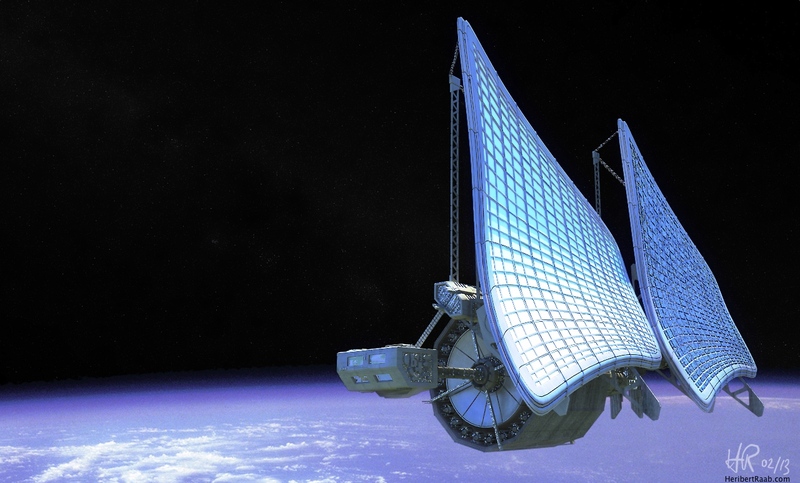 the main power comes from 2 big solar sails.